You are here: Home / I am a Reluctant Landlord / Moving Season: Myth or Truth? 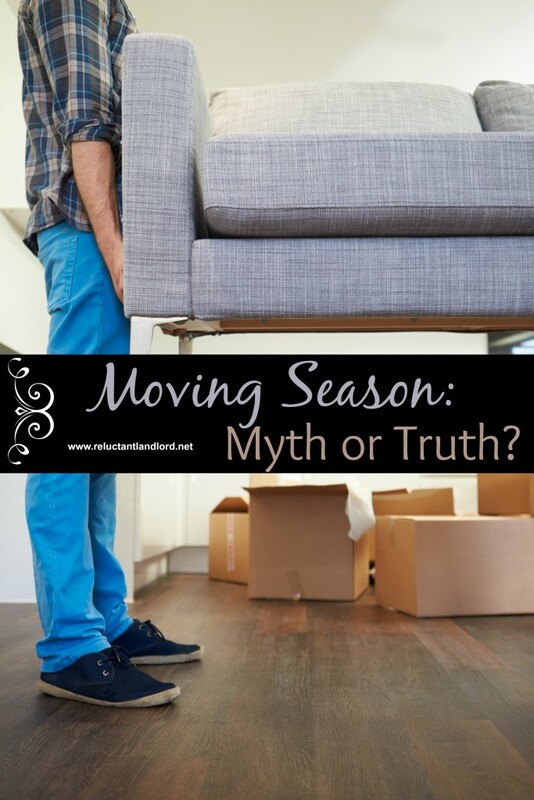 Moving Season: Myth or Truth? Does a Moving Season Exist? As it is now entering the winter months there has always been a huge discussion if there is such a thing as a Moving Season. 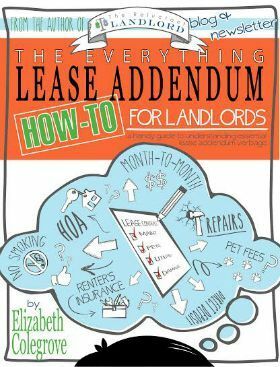 The question among landlords has always been does it matter when rentals should come up for renewal? The question being does it matter or is it a bunch of wallop. After being a landlord in three different markets. In my personal experience the time of year make a huge difference based on your market and your demographics. Parents like to make the transition of moving less stressful on children. Most parents will move early or stay later so their kids can move over the summer. Midterms or between semesters is the next best time to turn your house in this group. If parents have to move during the school year and they cannot wait till the next school year. They will move over break. If you ask the military housing office they will say Nov./Dec. is the second busiest moving season. If you house appeals to the professional or non school age children then it is not as important to worry about the school calendar. What you have to worry about is weather! People who do not have to move will wait until there is good weather to move. Who wants to move their gorgeous new furniture in bad weather? Remember- As always, it really depends your location, manufacturing demographics, and your market niche. If you are in a VERY transitional area like supporting a base that has a different school class up every 5 weeks, or an oil rig then you will have very different schedules. The important key is being aware of this issues. There are two types of deals:Rental or Sales. Rentals and Sales are MUCH harder to generalize as it really depends on supply and demand. While there tends to be less supply this usually affects price and ease of leasing. Unfortunately this depends on your area. If there is a lot of demand and not enough supply it can be great. It means your house is in demand. If it is the opposite than you really want to work very hard to make sure your house(s) comes up during the right time of year. Now that you know how to figure out the right time of year are you wondering how to handle it? Check back next week for the next article in this three part series: Handling an Office Season House.